Eva's Caribbean Kitchen is an extraordinary Laguna Beach restaurant that will immerse you in the sights, sounds, tastes, and smells to transport your senses to the islands. Relax to the island rhythm of the steel drums as you enjoy Caribbean style dining and the widest selection of tropical rums from around the world! If you're looking for something different, come try the Conch Fritters and Mango Mojitos, but save some room for Eva's special Banana Passion Flambe! Eva's Caribbean Kitchen is open for dinner at 5:00pm from Tuesday through Sunday. 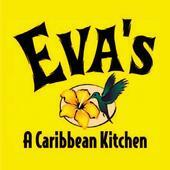 Share Your Eva's Caribbean Kitchen Experience! Do you have a great story, experience, or photos from Eva's Caribbean Kitchen? Share your stories and photos here!